Hello everyone and welcome our August event of Astronomy on Tap Space Coast! Our event is located at Intracoastal Brewing Company. 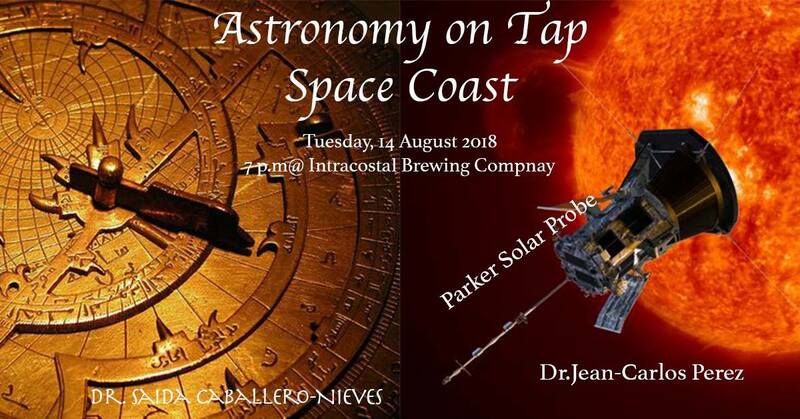 For August’s Astronomy on Tap – Space Coast’s event we will be joined by Dr. Saida Caballero-Nieves discussing hidden figures in Astronomy thought history and Dr. Jean-Carlos Perez discussing the upcoming the launch of the Parker Solar Probe. Weather permitting we will also have a star party in the beer garden. Come out, get a glass of beer, listen to some science, and enjoy!